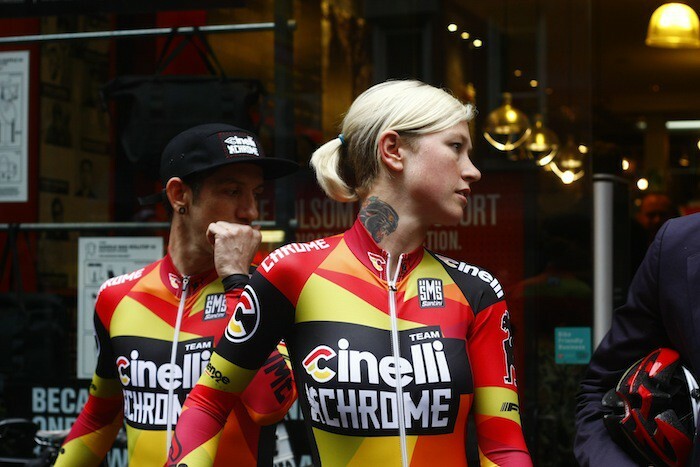 The Cinelli Chrome Fixed Crit Racing Team was officially unveiled at the Chrome Hub in NYC tonight and brings together two pillars of urban cycling to create a new and exciting collaboration. 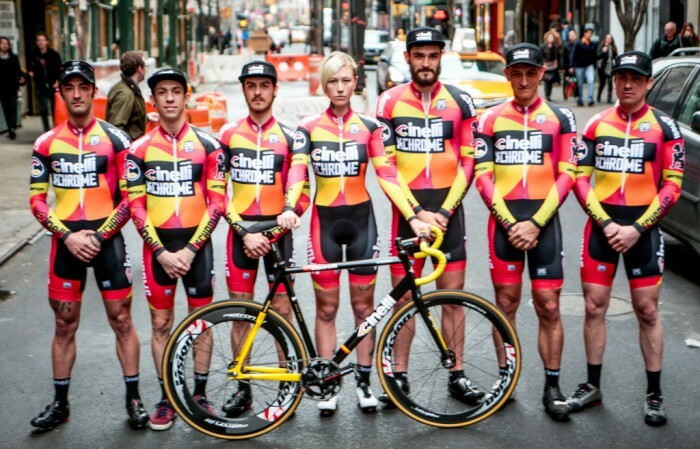 The new team will be comprised of 4 Italian riders and 3 Americans led by 2013 Red Hook Criterium Series winner Neil Bezdek. Along with Bezdek will be 4 time Monster Track winner Alfred Bobe’ Jr. who brings his elite alleycat skills and substantial urban cycling background. 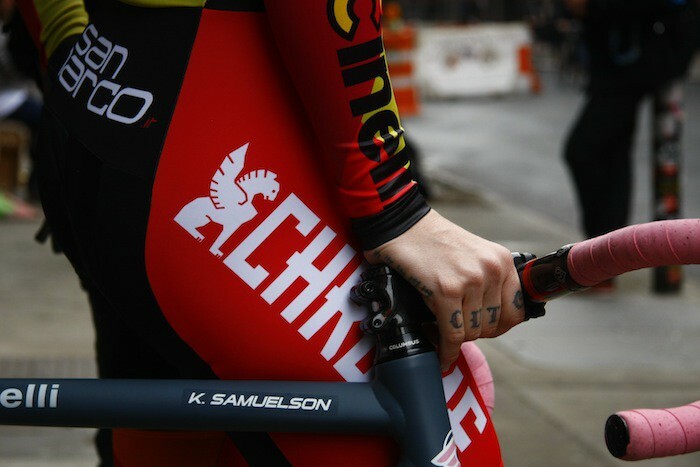 Representing the women for Cinelli Chrome is Kelli Samuelson, native of Los Angeles with a strong track and road racing backgound to complement her fixed gear crit experience. The Italians rounding out the squad are veteran rider and team director Giorgio Vianini, as well as Alessandro Bruzza, Paolo Bravini, and Giovanni Bocchi.